Must possess at least a Primary/Secondary School/SPM/"O" Level, any field. Least 1 year of working experience in the related field. of inventory control in a computerized environment with data entry experience. Communication skills and interpersonal skills. Positive working attitude and ability to work independently with minimum supervision in Mathematic. Have to be computer literate. With storekeeping, cycle count and ability to generate reports. Analyze the accuracy of the stocks by monthly stock take. Monitor stock movements maintain and update stock records, perform monthly physical stock count and daily cycle count. Unloading of goods (lorry and container) arrangement. 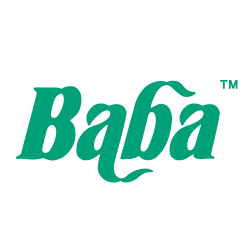 Kean Beng Lee is the leading manufacturer in gardening supplies with our excellent trademark "BABA", which is also the first brand of horticultural industry. Apart if it, we also strike the best in providing premium quality products and professional service to gardening enthusiasts. Despite Malaysia, BABA products can easily found across more than 30 countries around the world such as Asia, Europe, Middle East, Central America, North America as well as South America. In addition, our products also registered and trademarked in more than 30 countries. We are proud to say that despite producing a variety of innovative and high quality gardening supplies, we too patented more than 40 designs. In the past, the team of BABA has won numerous of corporate awards for its excellent and outstanding performance, which including 2 timesSMI Recognition Award Series, 2 times Golden Bull Award, 2 times Enterprise 50 Award, as well as Superbrands Malaysia. Recently, BABA involved actively in promoting environmental friendly planting. We are also the first company in Malaysia to promote the organic certification of non-governmental organizations. In addition to guide consumers in identified the authenticity of environmental friendly products, we also provides an access for organic growers to create a sustainable green earth. Improve your chance to get this job. Do an online course on Purchasing and procurement starting now. Hi KEAN, Reach more people by sharing this job with your network. Get updates on latest Logistics & Supply Chain Jobs in Malaysia - Penang.